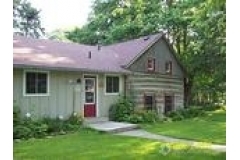 Historic Log House circa 1860 in the Village of Damascus with a warm and relaxing atmosphere. Arrive as Guests. Leave as Friends. Two bathrooms exclusive to guests. Water cooler with hot and cold, coffee and tea, milk and cream in refrigerator. Comprehensive breakfast menu which includes home made bread and a variety of home made preserves. Open year round. Located near Luther Marsh, www.grandriver.ca. One of Ontario's largest wildlife preserves. Hunting, fishing, snowmobiling and cross country skiing in season. Close to 'YORK SOARING', Trial flight available. www.yorksoaring.com.